4 Oyo occultic fraudsters have been arrested by the police for duping a Germany based Nigerian lady, Mary John of N81.7 million. The lady who was said to be elusive to her family members anytime she returns to Nigeria, was defrauded after the help of a spiritual medicine man identified as Babatunde Richard, a retired police officer was sought for by her siblings and mother. 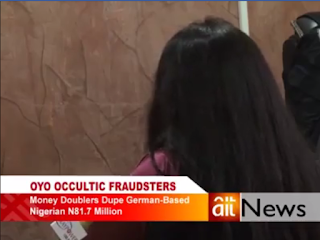 The spiritualist told newsmen that the lady’s mom, told him that her daughter was successful in her career but that a man and a lady behind her (Mary John), doesn’t want her daughter to have pity on her. The distraught mom who stated that she wants her daughter back paid about N1.2 million to the spiritualist, before a call came through that help has been found somewhere else. 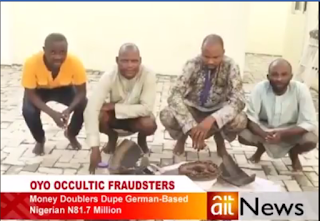 The lady’s mom and siblings had also facilitated another meeting with a different group of spiritualists, who also scammed the woman of various amounts of money. 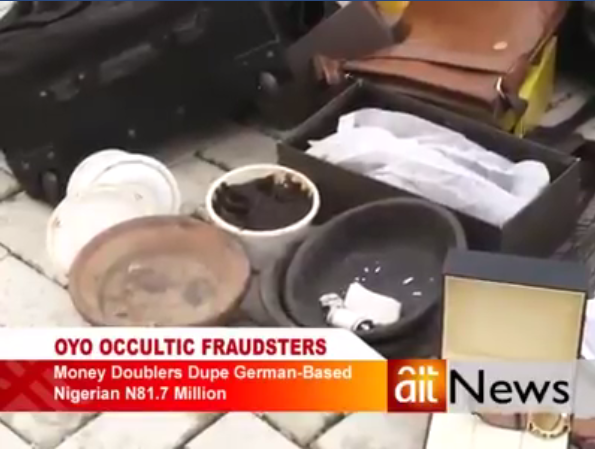 The second group of spiritualists promised Mary John’s family a thorough spiritual cleansing with the hope of making them wealthy. 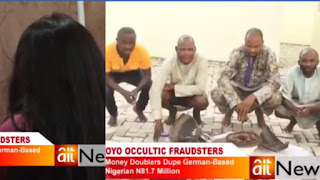 Mary who said that the Oyo occultic fraudsters also slept with her in the quest to double the money they collected from her, further disclosed that she was given some items to eat with her families after some sacrifices were made. 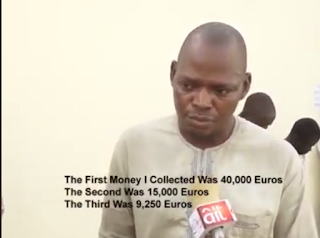 They were also asked to deposit various sums of money all in Euros in a pot. 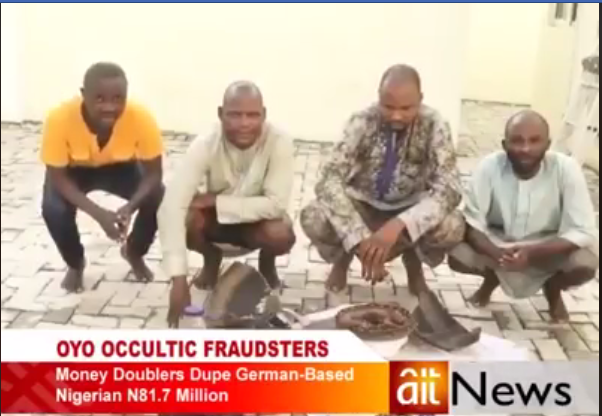 However following a complaint, the special Intelligence Response Team (IRT), led by Deputy Commissioner of Police (DCP), Abba Kyari arrested the spiritualists who knew they couldn’t help the lady.